For those of you who don't know, Daxon are a well established home shopping company who specialise in ensuring women of all shapes and sizes can find clothing that actually fits. Daxon's are part of Redcats the world's 3rd largest home shopping organisation, specialising in top quality clothing for all occasions. So you know you are in good hands; with people who do not compromise when it comes to quality fashion items. For all my fellow blogger friends out there do YOU fancy starting the New Year off as part of Daxon's VIP Panel? You are able to earn yourself a lovely £50* Amazon or Threadless voucher for just joining their panel. Daxon's are offering UK bloggers the chance to become a VIP Fashion blogger with them and all you need do to join up is let others know. To find out more about this opportunity head on over here now! Ladies Microfibre Quilted Jacket with Collar This jacket comes in beige or blue. 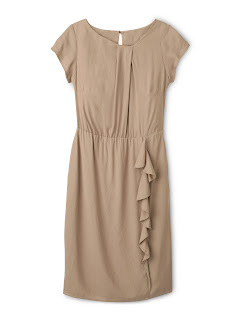 It would look great with a nice tee and a pair of leggings and boots. Great for the everyday look. Essential Tailoring Ladies Dress This dress comes in Lilac or Taupe and would be great to wear in Spring/Summer. I think it would make a great addition to anyone's wardrobe. I would be wear this to work or a evening meal. 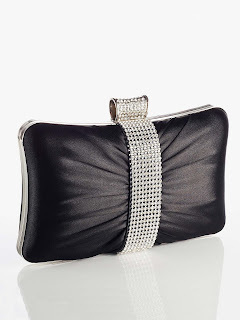 Ladies Satin Clutch Bag with Rhinestones This bag is very eye catching and would make a brilliant accessorise to any outfit. I would use this to go out in the evening. I love the rhinestones on it. For any new customers out there wanting to purchase from Daxon they are offering you £10 off your first order when you spend £20 or more. Please use the code 8065. What are you waiting for?